Congratulations to the third winners in the 2016 People Choice Contest! The third category, announced last spring, was Chip Carving and Tramp Art: Painted and Unpainted. The entries we received varied widely in subject matter and all demonstrated creative carving. We’ll be talking to some of these carvers about sharing their patterns in future issues. Plus, cash prizes will be awarded to the winners, with special thanks to our contest sponsor, Flexcut Carving Tools. Bill Miltenberger of Birnamwood, Wis., carved The Easter Story from basswood. He constructed the project using individual pieces mechanically interlocked without adhesive. 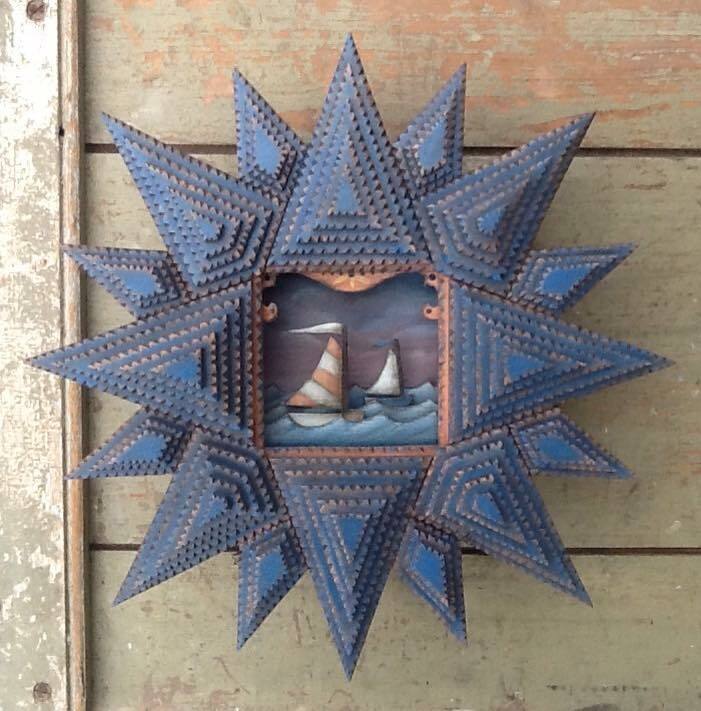 There are 1,084 pieces in the frame. The project is 6″ by 13-1/2″ by 16″. Angie Dow of Ellsworth, Maine, drew inspiration from the sailing community along the coast of Maine when she created Sailor’s Delight. 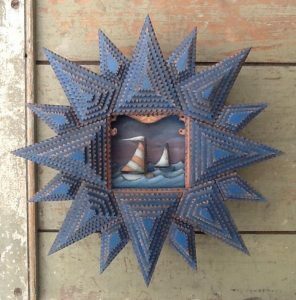 The project was carved from birch, poplar, and pine and is 2.5″ thick by 12″ square. 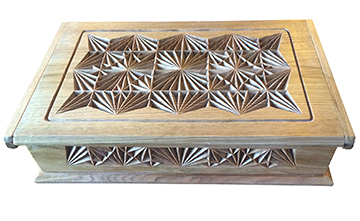 Jim Harris of Florence, Ala., carved this box entirely by hand and finished it with five coats of clear polyurethane. The box is approximately 3″ by 12″ by 8″. 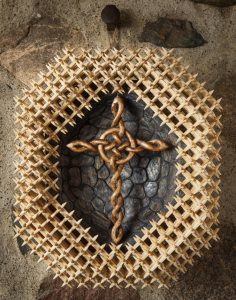 David Steward of Booklyn, N.Y., chip carved Ouroboros Releases His Tail with one knife from basswood board and finished it when shellac. 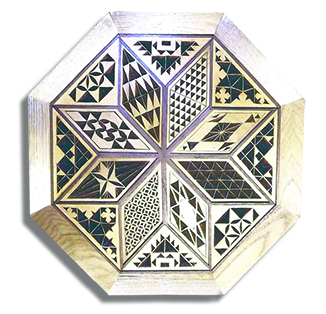 The chip carving is 22″ by 11″ by 3/4″. Ouroboros is the serpent in Egyptian mythology that swallows his own tail while encircling the world. 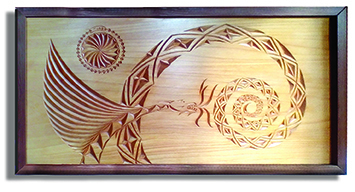 David’s carving imagines the moment when Ouroboros releases his tail and chaos is unleashed. Arturo Torres of Carmel, N.Y., carved Koi Fish from basswood. 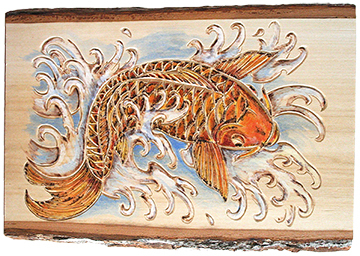 To give the piece extra dimension, Arturo woodburned the details and painted the koi with acrylics. The carving is 8-1/2″ by 12″. Len Albrecht of Crivitz, Wis., chip carved Hanging Hand Carved Quilt Pattern from butternut wood and finished it with stain. 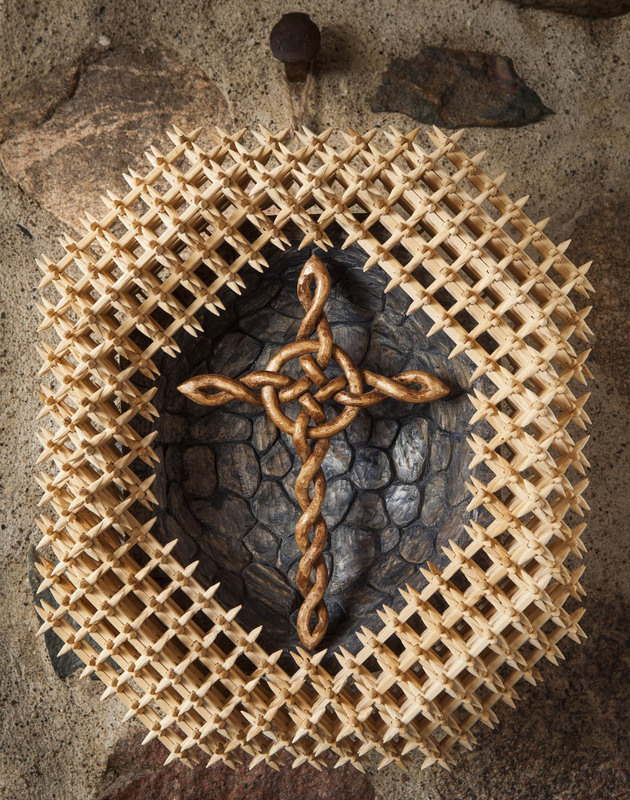 The chip carving is 14″ in diameter.